The same knowledge and skill involved in defending those accused with a Tennessee Driving Under the Influence (DUI/DWI) charge may also be applied in the defense of similar crimes. 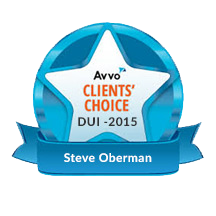 Accordingly, Steve and Sara regularly handle the defense of other crimes related to DUI/DWI charges. The basis of these related crimes often involve driving, motor vehicles, alcohol, and/or prescribed and illegal drugs. Although not intended to be a complete list, many of these DUI-related Tennessee criminal offenses are listed in alphabetical order and briefly discussed below. The criminal offense descriptions and penalties are intended only as a general summary and should not be relied upon without individual consultation with a well-qualified Tennessee criminal defense attorney. Boating Under the Influence (BUI): With an abundance of waterways in the Knoxville, Tennessee area and across the state, Boating Under the Influence charges are commonly found in Tennessee courts. A person may be convicted of a Tennessee Boating Under the Influence offense (BUI) if operating or in physical control of a boat or other water vessel either while under the influence of any intoxicant or while the person’s blood alcohol content is .08% or more. Depending upon the facts and circumstance of the case, a person may be required to serve up to 11 months, 29 days in jail if convicted of a Tennessee BUI offense and may also be fined an amount ranging from $250.00 to $5,000.00. Once convicted, the person may also be prohibited from operating any boat (vessel) for a period of 1 to 10 years. Boating Implied Consent Violation: Much like a Tennessee Implied Consent Violation, a Tennessee Boating Implied Consent Violation is often also referred to as a Chemical Test Refusal charge. If arrested for a Tennessee BUI charge, a person who refuses to take a chemical test (blood, breath or urine) to determine the alcohol or drug content of her blood may also be charged with a violation of the Boating Implied Consent law. Violation of this law requires the suspension of operating privileges for a period of 6 months in Tennessee. Child Endangerment: Any person who violates the Tennessee DUI law and who, at the time of the DUI violation, is accompanied by a child under the age of 18, is subjected to serious increased penalties. Depending upon the facts of the case, such penalties may range from a mandatory jail sentence of 30 days and a mandatory fine of $1,000.00 to a possible prison sentence if the child suffers either serious bodily injury or death. All other mandatory Tennessee DUI penalties also apply if convicted. Although often referred to as a “Child Endangerment” charge in Tennessee, in reality, this offense will typically be charged as Driving Under the Influence (DUI), Vehicular Assault, or Vehicular Homicide. Commercial Motor Vehicle (CMV) DUI: If a driver with a Commercial Motor Vehicle Driver’s License (CDL) is charged with Driving Under the Influence (DUI/DWI) while operating a Commercial Motor Vehicle, both the requirements for conviction and the associated penalties differ from a Tennessee DUI offense committed in a Non-Commercial Motor Vehicle. Moreover, the CDL driver is subjected to much more severe consequences than a non-CDL driver. Both the Tennessee offense of CMV Driving Under the Influence and the accompanying penalties are discussed in more detail here. Commercial Motor Vehicle (CMV) Traffic Offenses: Drivers of Commercial Motor Vehicles (CMV) are subject to additional traffic violations not faced by non-commercial operators (such as logbook violations, weight-restriction violations, etc.). Additionally, CMV drivers, those holding a Commercial Driver’s License (CDL), may face harsher penalties if convicted of certain traffic offenses. Please click here for additional information on the penalties associated with Tennessee Commercial Motor Vehicle Traffic Offenses. Driving on a Revoked, Suspended, or Cancelled License: A person’s Tennessee driver’s license may be revoked, suspended or cancelled for a number of reasons, including, but not limited to, a Tennessee DUI conviction, failure to pay a traffic ticket or citation, a conviction for failure to have insurance on a vehicle (also known as a violation of the Tennessee Financial Responsibility law), or an accumulation of too many points on a person’s Tennessee driving history. The penalties associated with a Tennessee Driving on Revoked, Suspended, or Cancelled License will depend upon the underlying reason for revocation, suspension or cancellation, as well as other facts and circumstances unique to the case, but in some cases will require a mandatory jail sentence. As serious as the jail time and fines are, punishment for this conviction may also include loss of driving privileges for an additional period of time—usually with no opportunity for a restricted license or hardship license. Evading Arrest: The Tennessee offense of Evading Arrest may be classified as either a misdemeanor or a felony, depending upon the facts of the case. Essentially, this offense prohibits a person from intentionally fleeing by means of locomotion from anyone the person knows to be a law enforcement officer. The person must also either (1) know that the officer is attempting to arrest him or (2) have already been arrested by the Tennessee law enforcement officer. Forfeiture of Vehicle: Under certain circumstances, a defendant in Tennessee may face the involuntary loss of a vehicle through state forfeiture. For instance, the Tennessee Department of Safety is authorized to seize and hold for forfeiture any vehicle involved in the commission of a second or subsequent Driving Under the Influence offense. Many other offenses may also trigger the forfeiture of a vehicle. The vehicle is not always seized by the State of Tennessee at the time of arrest. Therefore, it is imperative to discuss the possibility of the seizure and forfeiture of your vehicle with a knowledgeable Tennessee criminal defense attorney as soon as possible following your arrest to learn your rights and how to protect your property. The laws and procedures governing Tennessee forfeitures are complex and require that very specific procedures be followed within a strict time frame. Because of these intricacies of the Tennessee forfeiture law, the protection and retention of your property can only be gained if you act immediately following your arrest and/or seizure of your vehicle. Implied Consent Violation: A Tennessee Implied Consent Violation is often also commonly referred to as a Chemical Test Refusal charge. If arrested for a Tennessee DUI charge, a person who refuses to take a chemical test (blood, breath or urine) to determine the alcohol or drug content of her blood may also be charged with a violation of the Tennessee Implied Consent law. Please click here for more information about the Tennessee Implied Consent law, as well as the associated penalties. Open Container: A Tennessee Open Container Violation is classified as a Class C Misdemeanor and is punishable by a fine only. This offense prohibits a driver of a motor vehicle from possessing or consuming any open container of an alcoholic beverage while operating a motor vehicle in Tennessee. Interestingly, it is not a crime in Tennessee for a passenger to be in possession or to consume an alcoholic beverage. However, an individual county, city, or municipality, such as the City of Knoxville, may enact an ordinance that prohibits a passenger from consuming or possessing an open container while the driver is operating the vehicle. Possession of a Handgun While Under the Influence: Tennessee law prohibits the Possession of a Handgun While Under the Influence of an intoxicant. This offense may necessarily accompany a charge for a Tennessee DUI/DWI or a Tennessee Public Intoxication charge, for which one may also be convicted. In addition to common criminal penalties such as jail time and fines, a conviction for Possession of a Handgun While Under the Influence may also result in the mandatory surrender of a person’s handgun carry permit and, in some instances, the weapon itself. If charged with a Tennessee Possession of a Handgun While Under the Influence charge, you should consult a knowledgeable Tennessee DUI Defense attorney immediately to determine how this charge may impact your right to bear arms. Public Intoxication: Tennessee’s Public Intoxication offense is classified as a Class C misdemeanor. This means it is punishable by up to 30 days in jail and/or a fine of up to $50.00. Simply being under the influence of alcohol or another intoxicant while in public is not, in and of itself, enough to violate the Public Intoxication law. It takes more. A Tennessee lawyer knowledgeable in drug and alcohol offenses can further explain what the State of Tennessee is required to prove for a conviction of this offense and explore whether you have a defense to a Public Intoxication charge. Reckless Driving: Although many people often associate a Tennessee Reckless Driving charge with the offense of Driving Under the Influence, these are, in fact, very distinct crimes. Any person who operates a vehicle with a willful or wanton disregard for the safety of persons or property is guilty of Reckless Driving. A person may also be charged with a Tennessee Reckless Driving offense when operating a motorcycle in a certain manner or when driving into a flooded area when certain circumstances are present. In Tennessee, Reckless Driving is classified as a Class B misdemeanor, carrying up to 6 months in jail and/or a fine of up to $500.00. A Reckless Driving conviction, which will result in an assessment of 6 points on your Tennessee Driving Record, may also cause increased insurance premiums and other consequences. Reckless Endangerment: A Reckless Endangerment offense in Tennessee may be classified as either a misdemeanor or a felony charge, depending on the individual facts and circumstances of the case. A person commits the offense of Reckless Endangerment when he recklessly engages in conduct that places or may place another in imminent danger of death or serious bodily injury. Because a Tennessee Reckless Endangerment charge could be classified as a felony, especially when involving a motor vehicle, and subject an offender to up to 6 years in jail and/or a fine not to exceed $3,000.00, it is important to consult with a Tennessee criminal defense attorney immediately after being charged with this offense. Simple Possession of a Controlled Substance: Tennessee law prohibits a person from knowingly possessing or exchanging a controlled substance (e.g. marijuana). 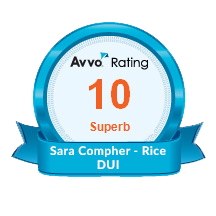 This offense is typically referred to as Simple Possession of a Controlled Substance and often accompanies a Driving Under the Influence (DUI/DWI) charge. Although Simple Possession is most often classified as a misdemeanor offense, it may, under certain circumstances, be considered a felony offense in Tennessee. Upon conviction, a person may also be subject to a mandatory fine, the amount of which is dependent upon which controlled substance was in his or her possession. Traffic Offenses/Citations: Most Tennessee Driving Under the Influence arrests begin with an officer stopping the person for a traffic violation. Accordingly, if arrested for DUI, you may also be given a State of Tennessee Traffic Citation or a Municipal Ordinance Citation for a traffic violation such as Speeding, Following Too Closely, Failure to Yield, Failure to Maintain Lane Lines, or Failure to Obey a Traffic Control Device (Stop Sign or Red-Light Violation). Please click here for a more detailed discussion of the penalties associated with Tennessee Traffic Violations and the importance of hiring an attorney to assist you with these matters. Underage Consumption of Alcohol: Several different laws in Tennessee prohibit the Underage Consumption of Alcohol, also commonly referred to as Underage Possession of Alcohol or Minor in Possession of Alcohol. This offense prohibits a person under the age of 21 from possessing or consuming an alcoholic beverage. However, certain exceptions to the Underage Consumption of Alcohol/Underage Possession of Alcohol charge do exist and should be explored with your Tennessee criminal defense or DUI attorney. Underage Driving While Impaired (DWI or UDWI): The offense of Underage Driving While Impaired applies to drivers who are 16 years of age or older, but under the age of 21. Interestingly, a motorist who is between the ages of 18 and 21 may be charged with either Underage DWI or the “adult” offense of Driving Under the Influence. The offense of Underage Driving While Impaired prohibits a person from driving or operating a motor vehicle while under the influence of alcohol and/or drugs or with a blood alcohol level of .02%. The penalties for an Underage DWI conviction are dependant upon the person’s age and in which court they have been charged (Juvenile Court System or the Tennessee Criminal Court Adult System). A well-qualified Tennessee DUI attorney will be able to outline the penalties required by law, as well as other consequences that may follow an UDWI conviction. Underage Possession of Alcohol: See Underage Consumption of Alcohol above. Vehicular Assault: In Tennessee a person may be charged with Vehicular Assault if he commits the offense of Driving Under the Influence (DUI/DWI) and as a proximate result of the person’s intoxication, also recklessly causes serious bodily injury to another person. The offense of Vehicular Assault is classified as Class D felony, carrying up to 12 years in jail and/or a fine of up to $5,000.00. Certain other consequences follow a conviction of Vehicular Assault, such as loss of driver’s license, and should be discussed in greater detail with your Tennessee DUI attorney. Vehicle Forfeiture: See Forfeiture of Vehicle above.